Growth is a priority for most businesses, but one that's elusive and difficult to achieve. But some companies do it well, delivering sustainable growth year after year. What makes those companies so special? And what can you and your business learn from them? 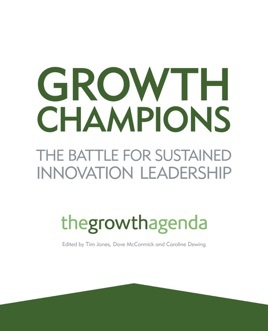 Growth Champions looks at 20 leading global organizations and identifies the key elements that drive their success. These growth champions include such companies as PepsiCo, Apple, Rolls Royce, Google, Audi, and P&G. While many share some common traits, they all take different paths to growth using different formulas to achieve it. Here, you'll learn how they formulate and execute strategies, motivate and engage people, build a growth culture, and develop and use distinctive competencies to stay ahead of the pack.